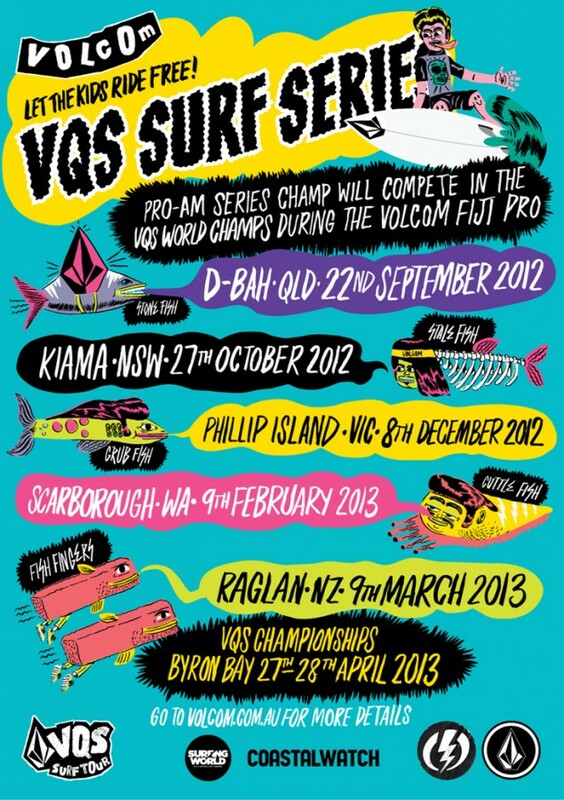 Seven surfers from the Kirra Surfriders Club will be competing later this week at the Volcom VQS Surf Series, Australian Championships to be held at Byron Bay on the 27th & 28th April 2013. Chris Slade & Max Tobin (Pro -Am), Blaine Robinson, Dylan Totten & Paul Posadas (Juniors), Dextar Muskens (Groms) & Luke Vidler (Squids) will be competing to see if they can become the Australian Series Champion for 2012/123. The winner of both Pro-Am division wins a trip to the VQS World Championships to be held during the Volcom Fiji Pro later this year. Good luck to all the KSC surfers competing.